We at Benton County Skateboarding Alliance are here today to ask for your help in modernizing and improving the Eric Scott McKinley Skatepark in Corvallis. 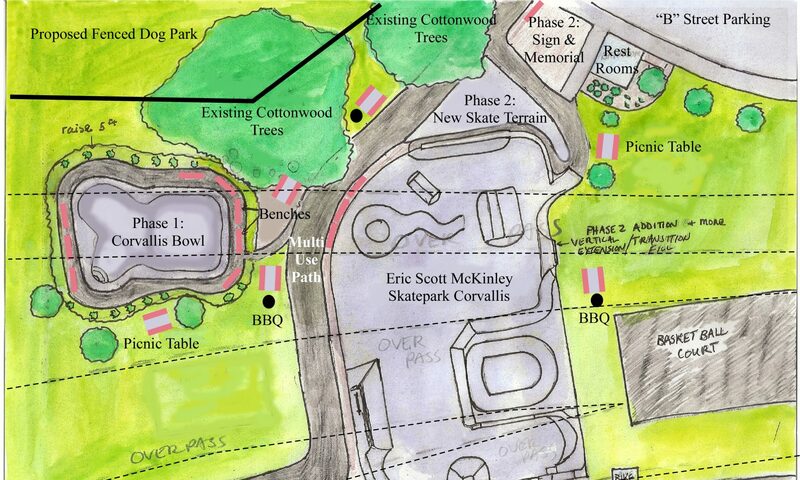 The existing Eric Scott McKinley Skatepark in Corvallis was built in 1998 early in the generation skatepark revolution. Benton County Skateboarding Alliance has recognized an opportunity to build a premier skatepark destination as seen in other towns in Oregon, such as Aumsville, Harrisburg, and Lincoln City. The Benton County Skateboarding Alliance has worked with Dreamland Skateparks to design new portions and renovate existing sections of the Eric Scott Mckinley Skatepark. Upgrading and renovating the Eric Scott McKinley Skatepark will have an array of positive effects on our community. Please donate now. Every bit helps!